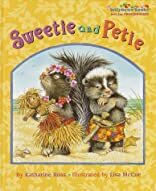 Sweetie and Petie live with their families on a small island. Their parents are always trying to get them to play together. But Sweetie won't play with Petie because he's a boy, and Petie won't play with Sweetie because she's a girl. Will these adorable little skunks ever learn to be friends?